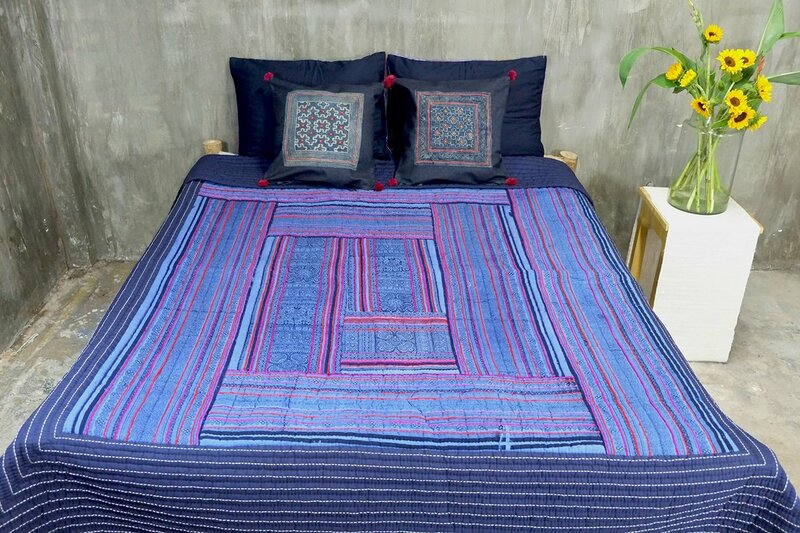 Hand crafted by our women artisans in rural Vietnam and Cambodia, this quilt features vintage ethic minority embroidered panels from Sapa, Northern Vietnam. 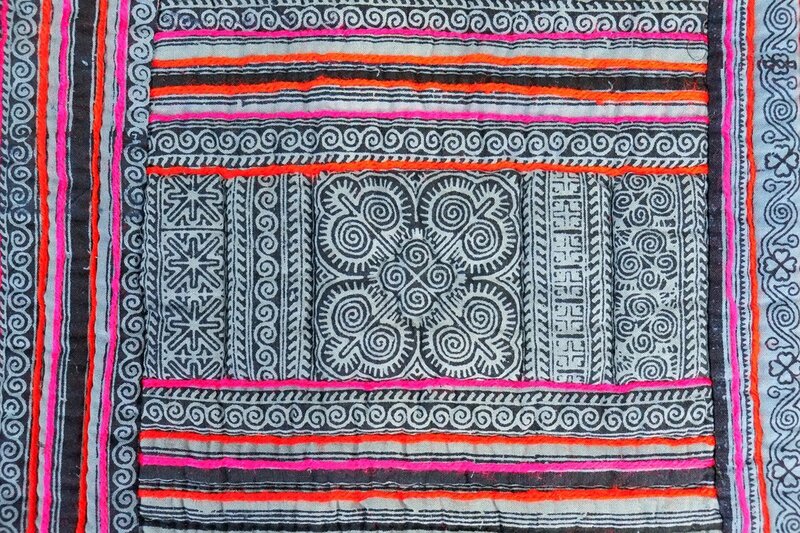 Such fabrics are becoming exceedingly rare and make every quilt absolutely unique. 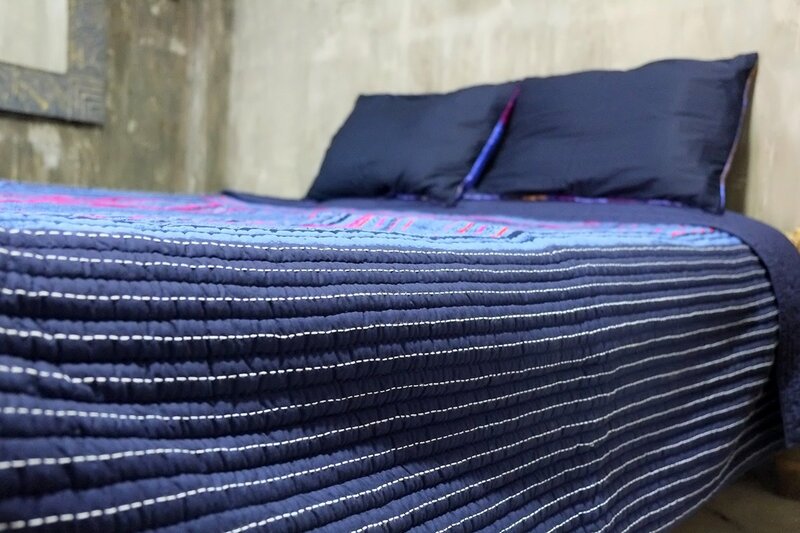 The vintage panels are made of hand weaved hemp up in the northern mountains of Vietnam. 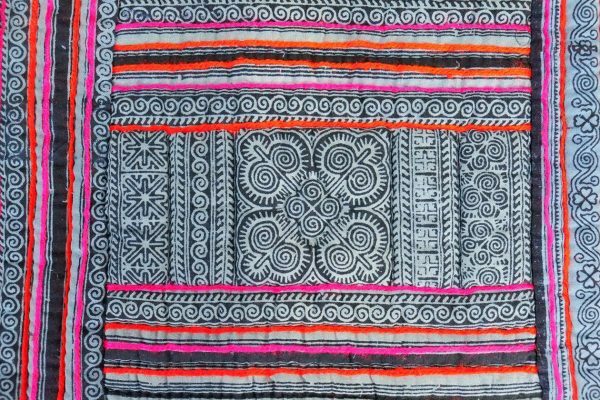 Our artisans have pieced and hand-stitched each panel together to create a central and visually beautiful log cabin design. The quilt is bordered and backed with 100% cotton in a complementary colour. 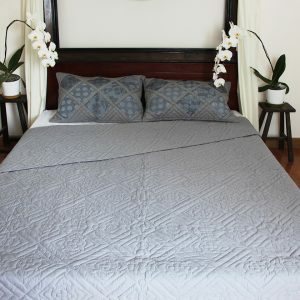 Between the stitched layers is a filling of polyester batting for warmth and comfort. 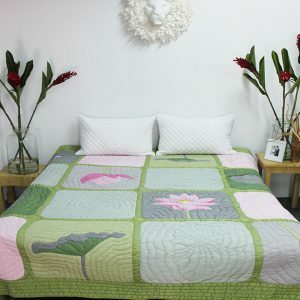 The layers are hand-stitched together in a straight stitching pattern to prevent shifting and to keep the layers secure for the long life of the quilt.